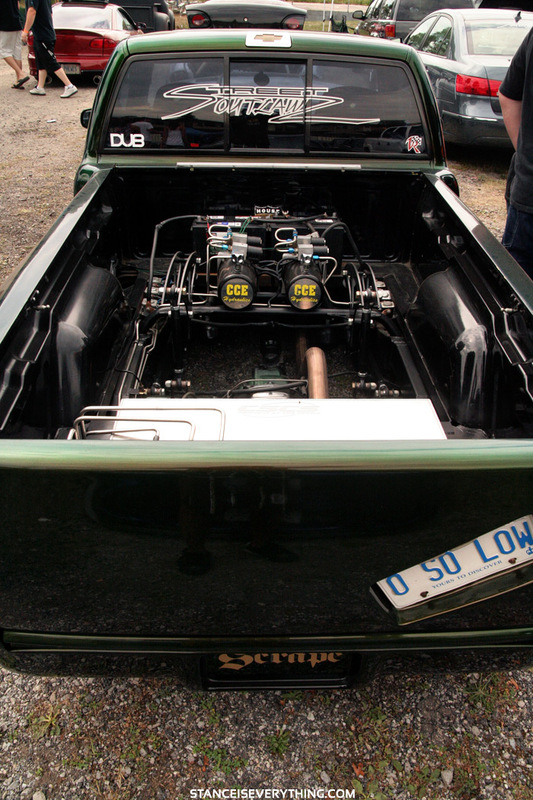 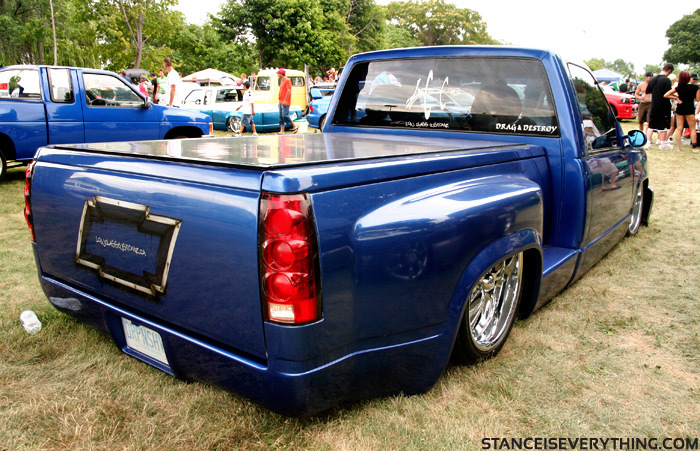 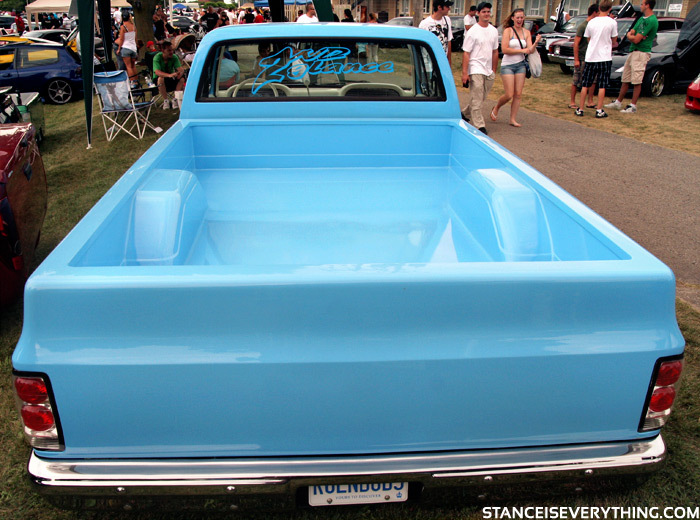 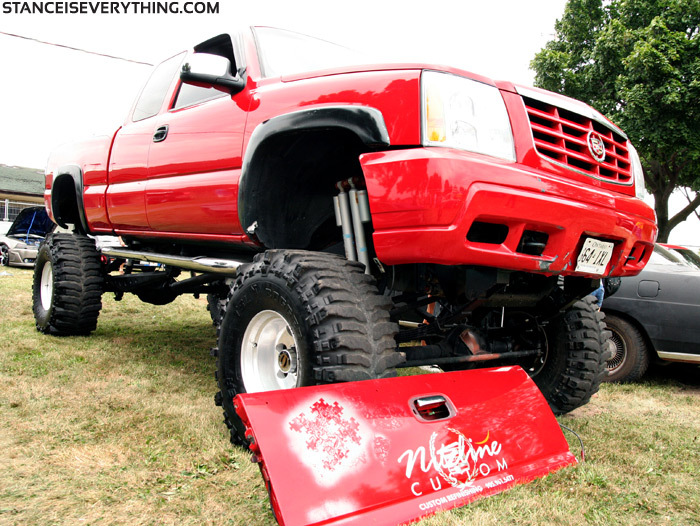 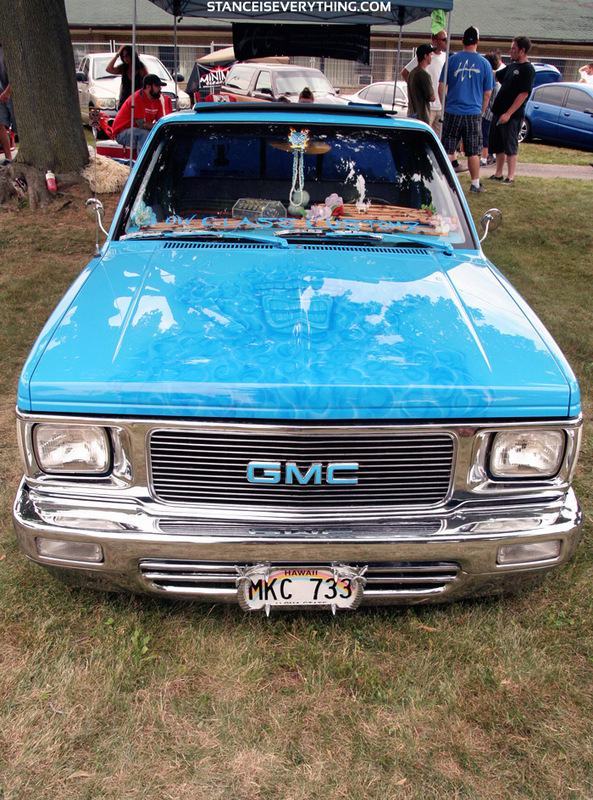 Part 2 of the multi-part Scrape By The Lake coverage is all about the trucks. 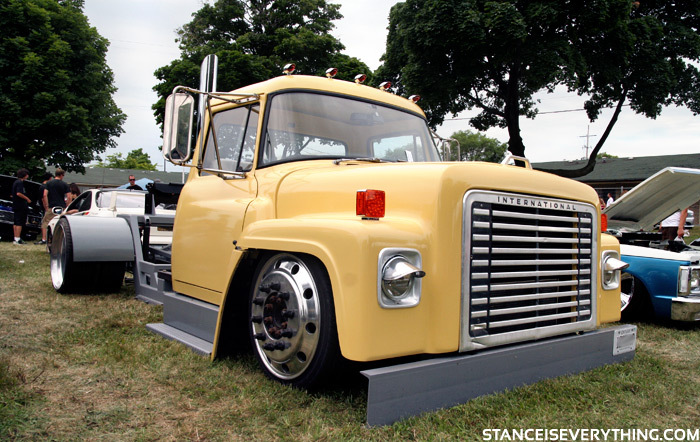 I was really impressed at the trucks that came out this year and last year. 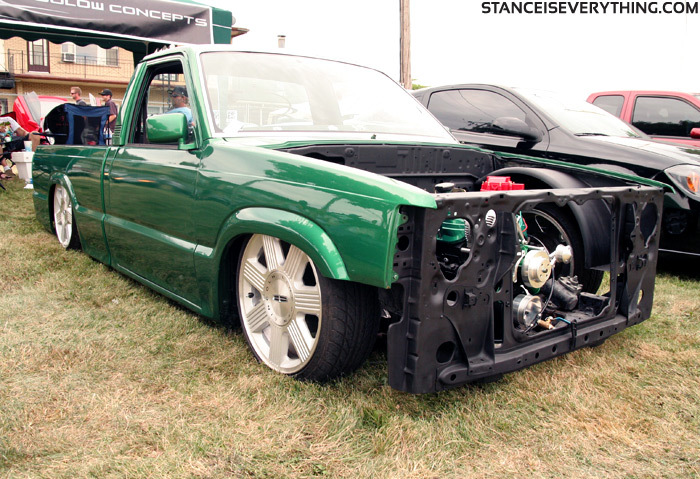 The trucks I saw last year had new mods and the new trucks I saw this year were crazy. 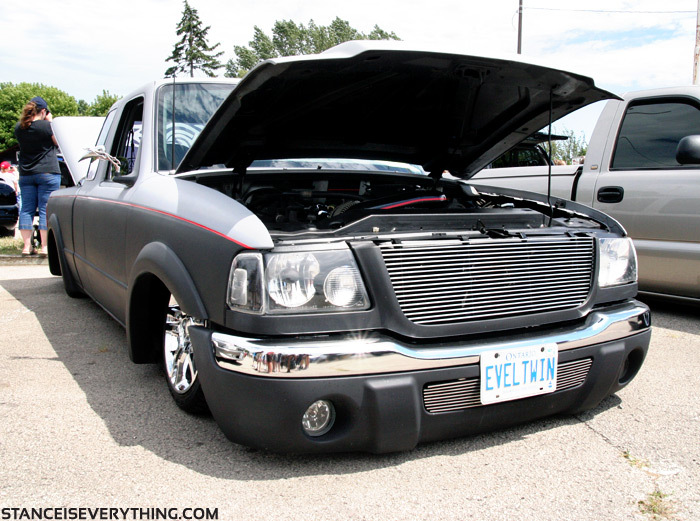 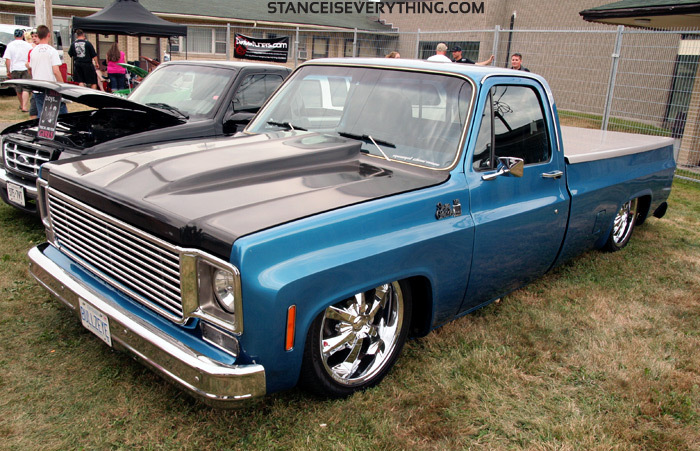 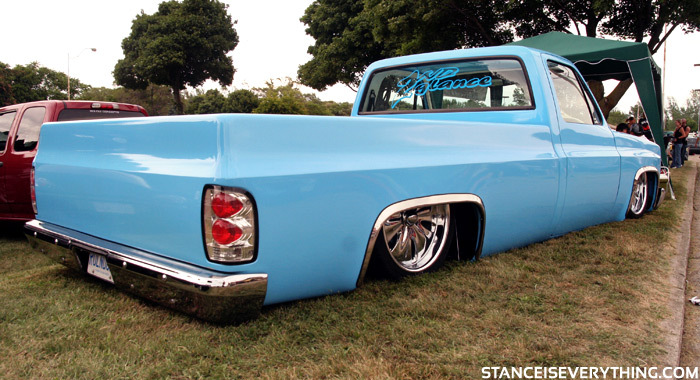 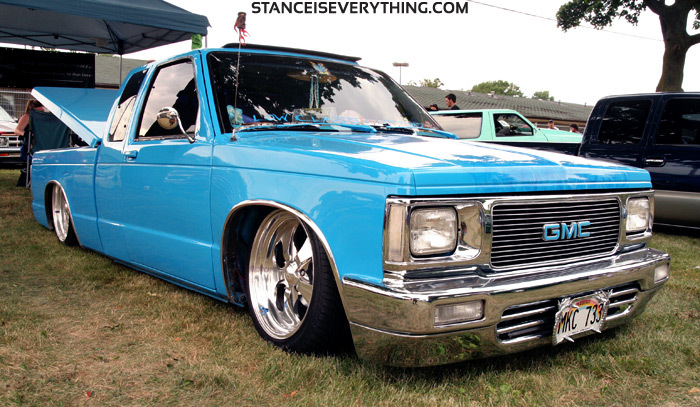 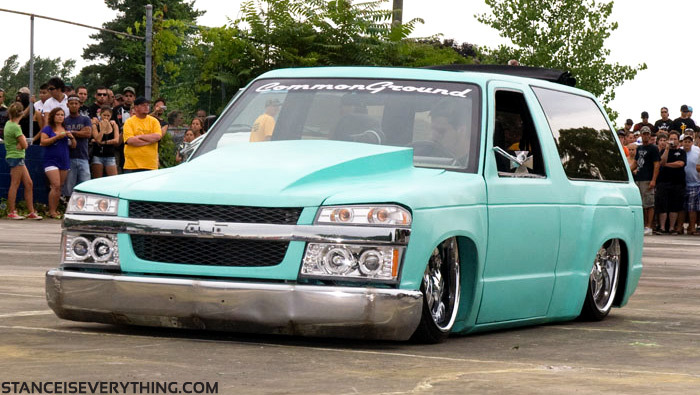 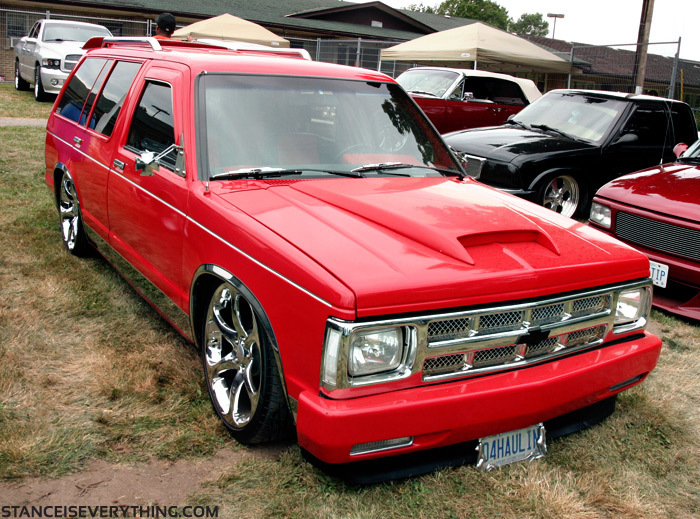 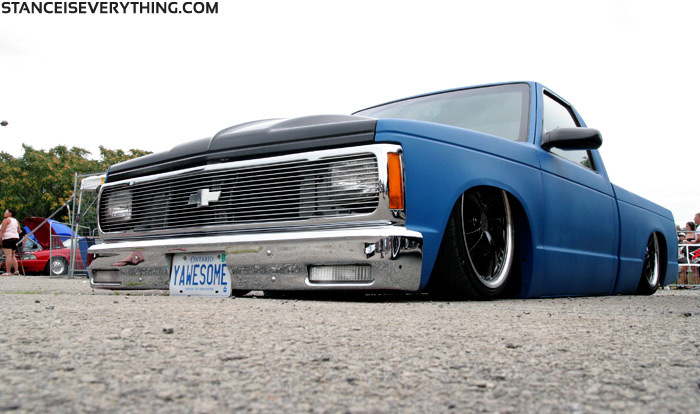 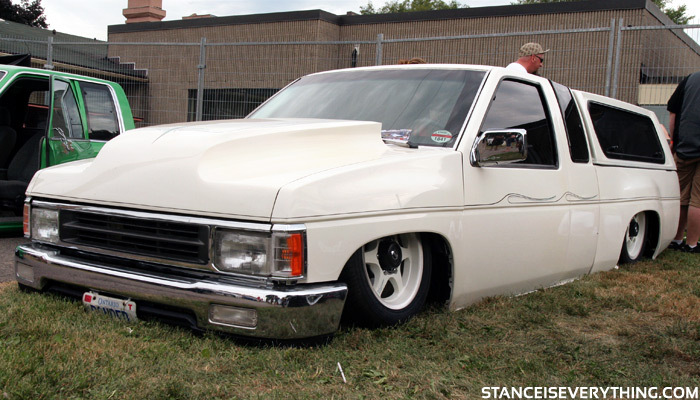 If you like your trucks low this post is for you. 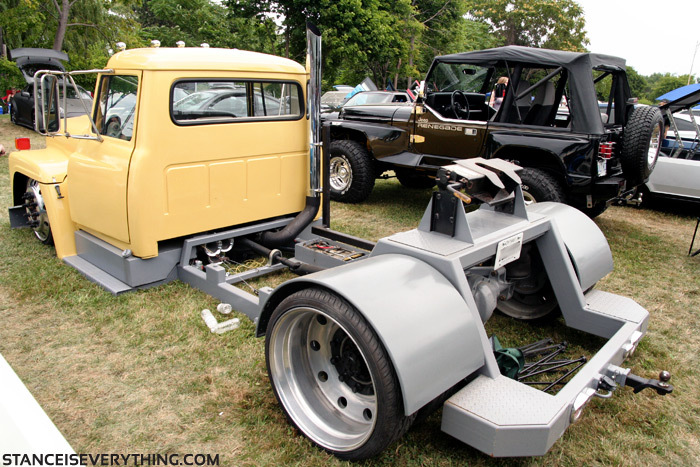 Some of these trucks have a lot of work ahead of them but look like they are going to be really nice when finished. 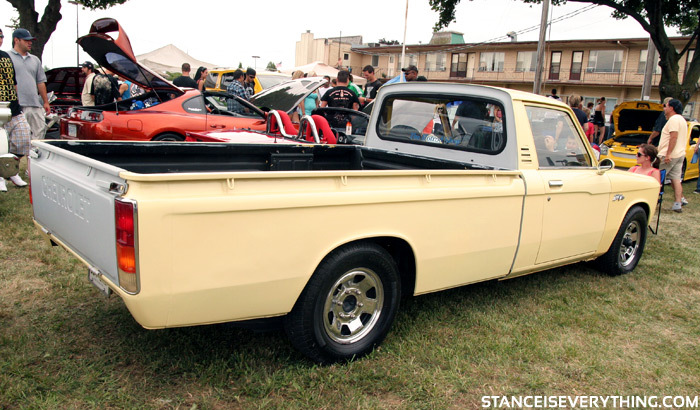 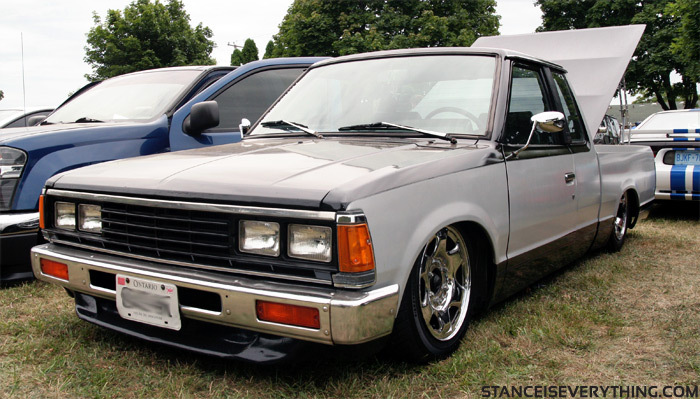 Import trucks are sort of the oddballs of the mini truck crowd, and the Dakota was the only Dodge I recall seeing. 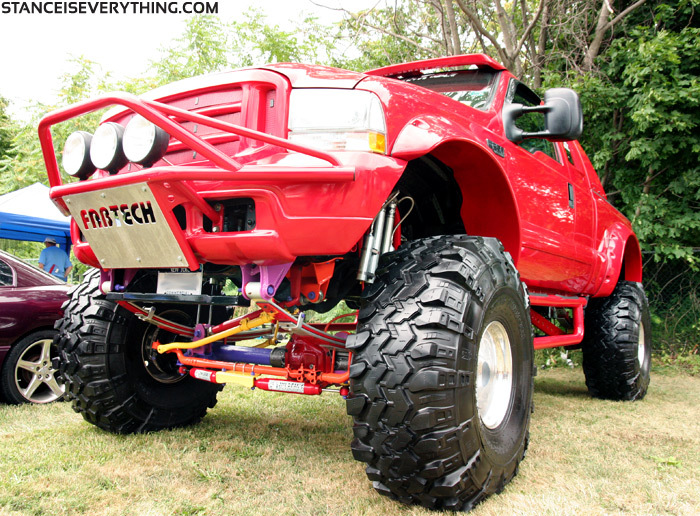 I had been told about this truck before I saw it and even still I was blown away, it’s simply awesome to see something this big laid right out. 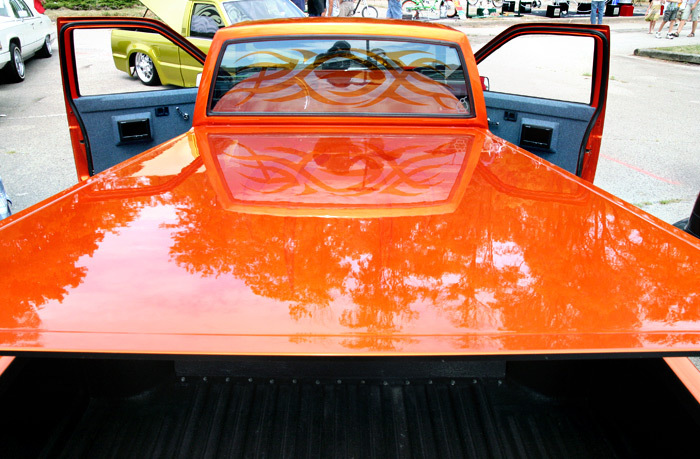 Check back tomorrow for the cars and the bikini contest. 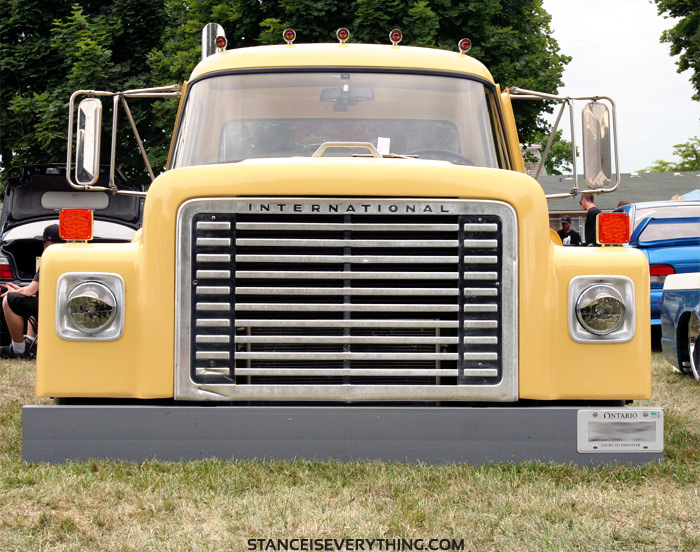 That International is ridiculous, I almost expect to see a jet engine sitting in the back of it 🙂 Awesome ride though. 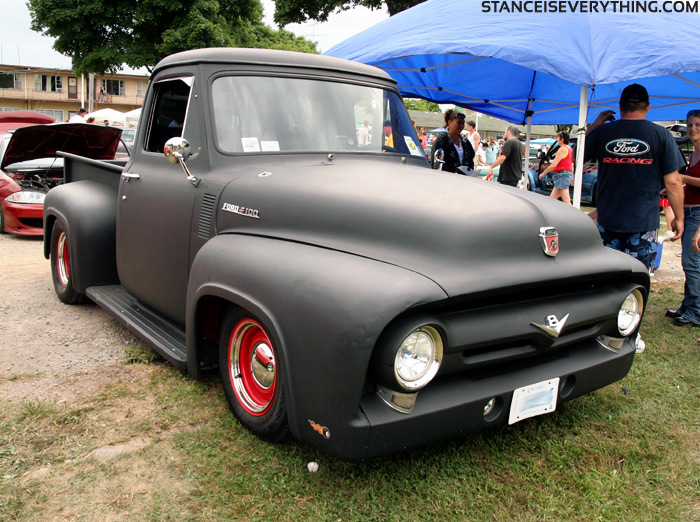 That old matte black Ford pickup is amazing… I want one! 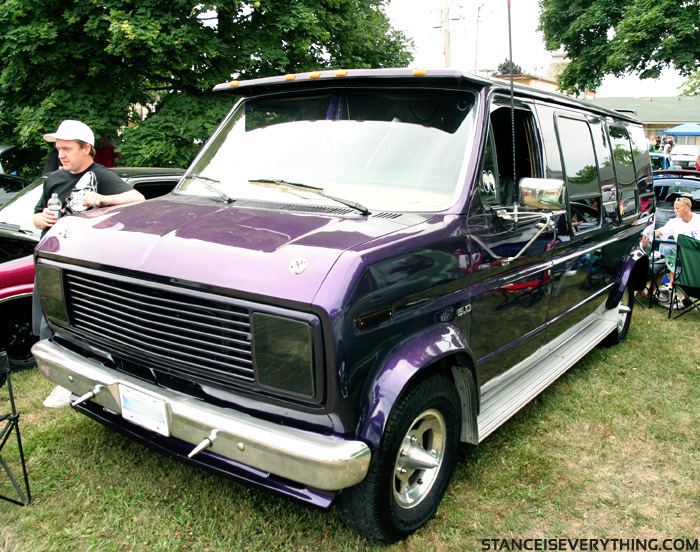 i love that mat ford tooo much ,its about time vans made a come back! 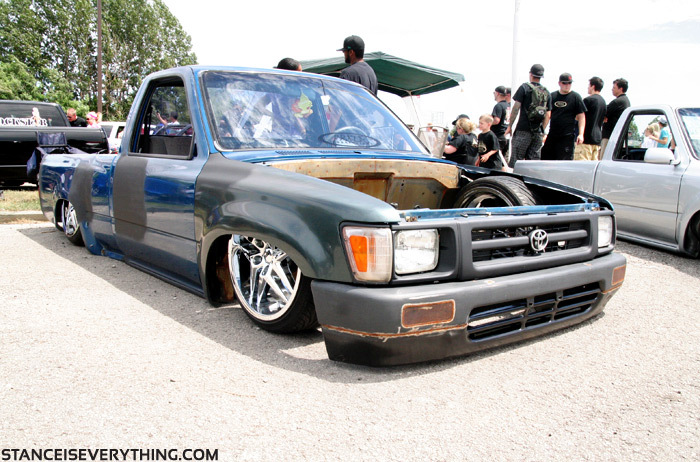 That International is so amazing that I just punched a baby Walrus. 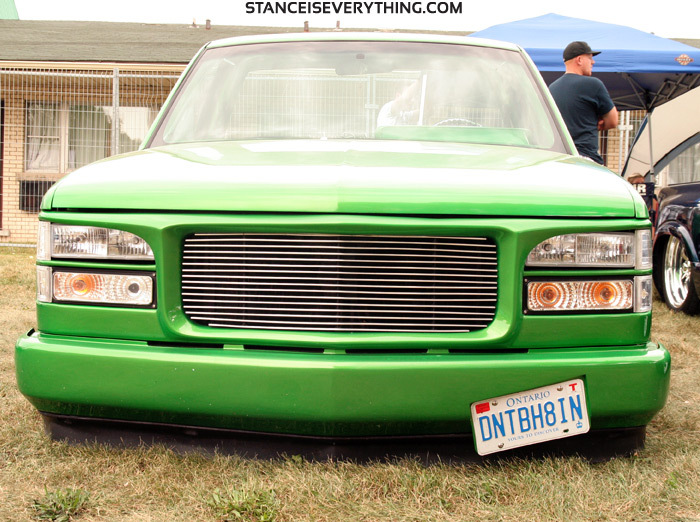 Don’t ask me where the walrus came from!